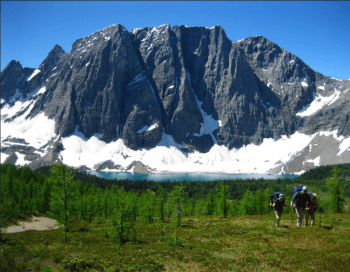 The Rockwall Trail in British Columbia’s Kootenay National Park is one of the classic treks of the Rockies. Today I invite you to join me on this fantastic 6-day hike. We will spend an amazing time cruising through alpine lakes and meadows to crest broad passes, and hiking down to camp every night. The trail follow an incredible escarpment of high limestone along the way. 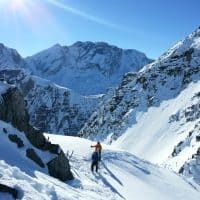 Besides, Numa Pass, the highest point of the trail, offers a stunning view at 2317 m. We will be able to enjoy from that point the rest of the hiking trail to come. 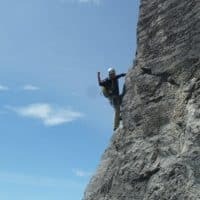 During these incredible Rockwall Trail hike, we will cover in total 56 km. Also, we will gain 2400 meter of altitude over the trip. Each day includes one high pass, at least. 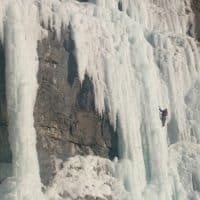 We will spend the first night in Banff and get ready for the trip. Next day, we will drive to Kootenay National Park. It’s a 2.5 hour drive. Then, adventure begins! You can check the detailed day-by-day itinerary at the bottom of this page. During these days, we will enjoy the amazing beauty of the Rockies, with its meadows, glacier and lakes. Also, we will change up some evenings with a fire at the camp site. Besides, on the fifth day, after a steady ascent to Numa Pass, a spectacular view awaits us. We will be able to see our day’s destination, the incredible Floe Lake. On the last day of our Rockwall Trail trek, we will descend through the 2003 forest fire burn, now covered with fireweed. 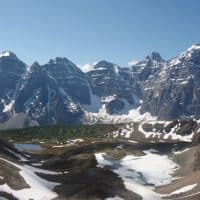 A transfer will take us back to Banff to celebrate this amazing hiking trip.